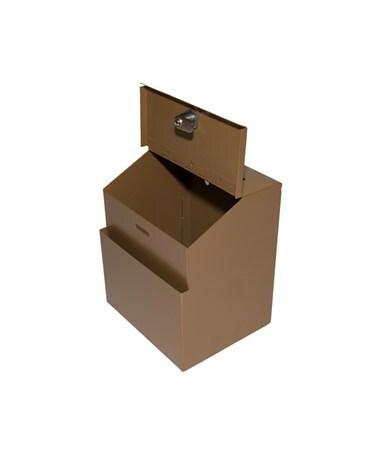 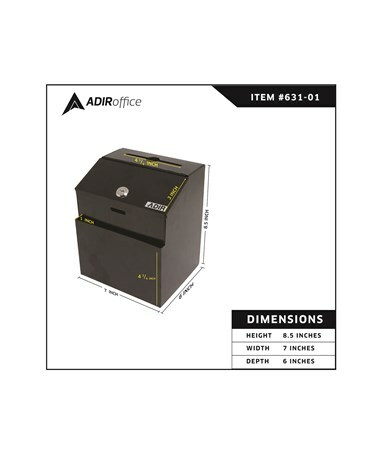 The Adir Steel Suggestion Box is a sturdy collection box with a durable powder-coated finish. 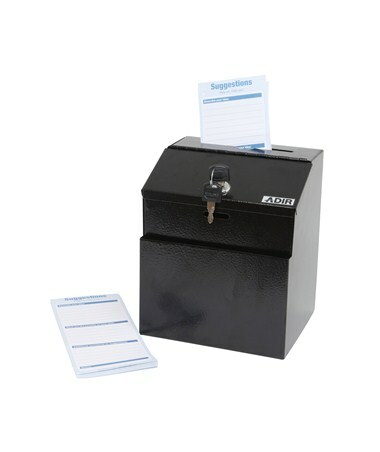 Lockable and comes with 2 keys, this steel box can be used as a drop box for keys or payments. 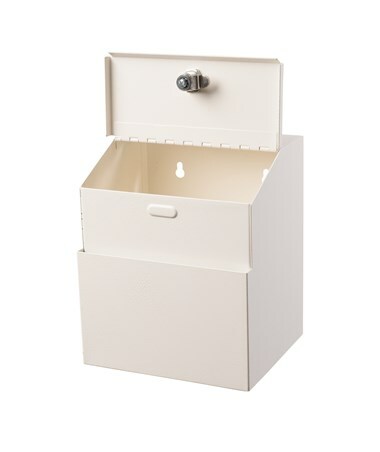 The deposit slot is 4 ¾"L x 1/8"W with a 1" diameter key drop. 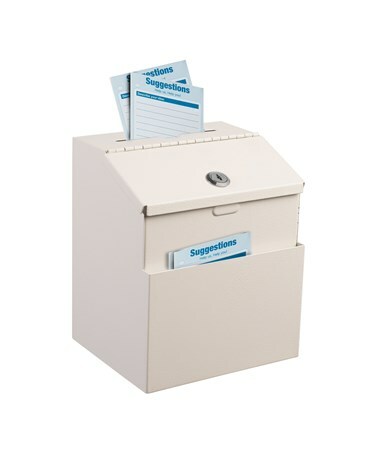 Outside dimensions are 7"W x 6"D x 8 ½"H. A front pocket holds pens and suggestion cards or small envelopes. 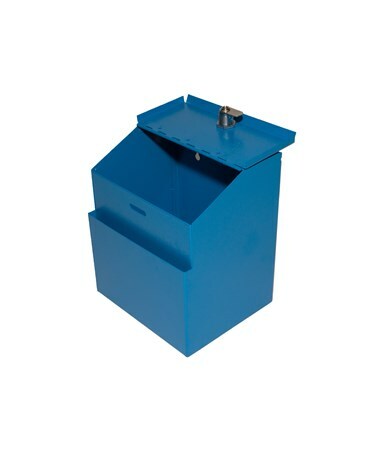 This freestanding steel collection box can also be mounted on a wall. 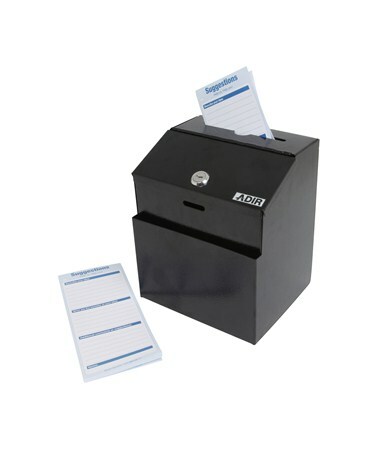 It comes with adhesive labels and 25 suggestion cards. 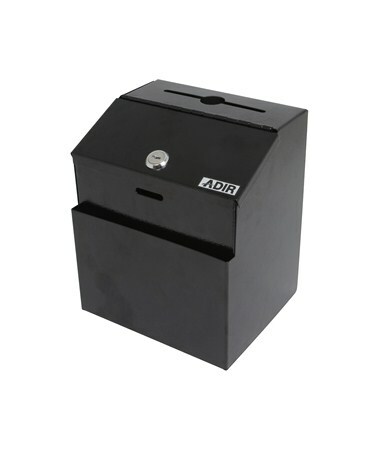 Adir backs up their product with a limited lifetime warranty. 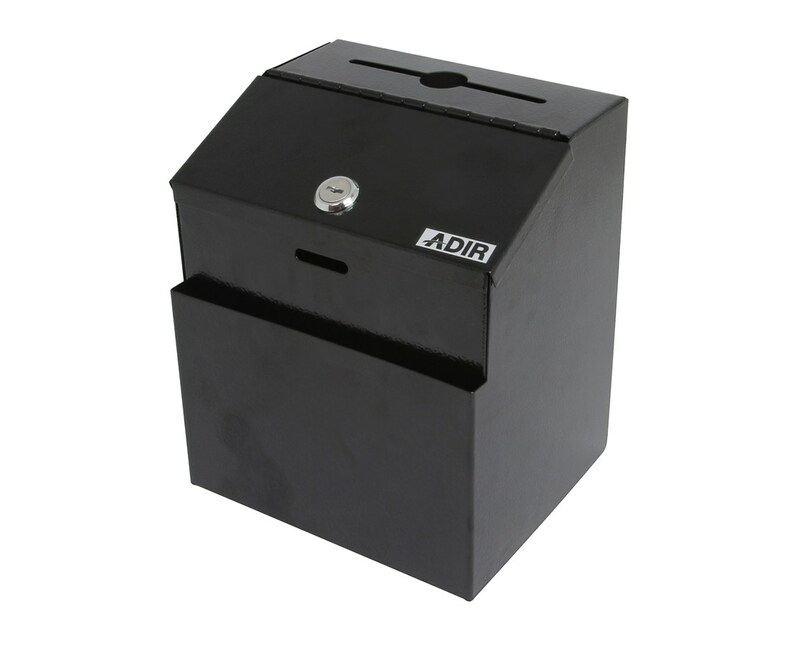 The Adir Steel Suggestion Box is available in five colors. 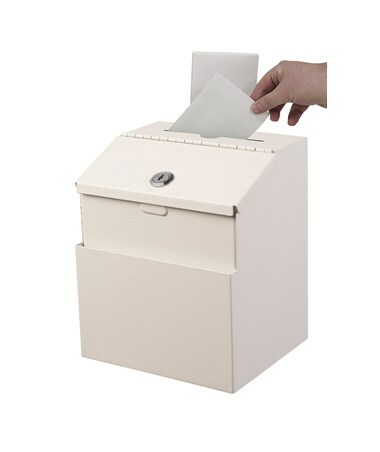 Please choose your preference from the drop-down menu above.